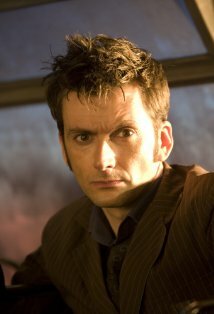 David Tennant was born David John McDonald in West Lothian, Scotland, to a father who was a Presbyterian minister. When he was about 3 or 4 years old, he decided to become an actor, inspired by his love of the BBC show "Doctor Who. "He was brought up in Bathgate, West Lothian and Paisley, Renfrewshire, Scotland and was a huge fan of the band The Proclaimers. He attended Paisley Grammar school and while there he wrote about how he wanted to become a professional actor and play the role of the Doctor in "Doctor Who. "He made his first television appearance (which was also his first professional acting job) when he was 16, after his father sent some photos of him to a casting director at Scottish television. He also attended a youth theatre group at weekends run by the Royal Scottish Academy of Music and Drama (RSAMD - now renamed the Royal Conservatoire of Scotland [RCS]). When he was 16 he auditioned for and won a place at the RSAMD; the youngest student to ever do so, and started as a full time drama student when he was 17.He worked regularly in theatre and TV after leaving drama school, and his first big break came in 1994 when he was cast in a lead role in the Scottish drama "Takin' Over the Asylum." He then moved to London where his career thrived. Amongst other things, he spent several years as a member of the Royal Shakespeare Company, and became famous from his lead roles in TV dramas "Blackpool" and "Casanova. "In 2005, his childhood wish came true. David was cast to play the role of the Doctor in the BBC'S new series of "Doctor Who" alongside Billie Piper, after Christopher Eccleston decided to leave. Playing the Doctor made him a household name. Since leaving Doctor Who in 2010 his career has continued to rise, with lead roles in films, TV series and theatre.